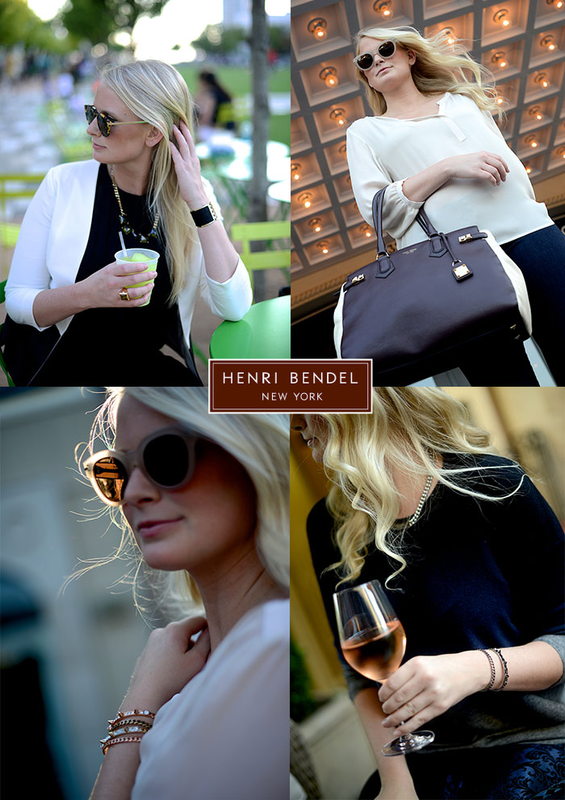 Now that fall has arrived (in the fashion world – perhaps not in Texas yet…), I’m thrilled to share more info on the fun fall campaign I’m doing in collaboration with Henri Bendel! As part of the project, I’m sharing some of my favorite photos from the shoot and my favorite Henri Bendel fall pieces in a dedicated board on Pinterest! Click here to check out the board and follow along as I continue to update it with fabulous fall favorites (like this leopard-print scarf or this sparkly set of stacking rings) and images from the campaign. On Monday I’ll be sharing the most exciting piece to the puzzle, so stay tuned! Thanks to D Style Sheet for taking such beautiful photos! After seeing the pic on IG I went straight to Pinterest to follow. Great campaign and you look amazing. Love Henri Bendel. What an exciting collaboration–congratulations! I’m so excited to see it unfold. These pictures + your style is amazing! This is so exciting! I absolutely love bendel. Hi there! First off, I love your style… so elegant!! About the mascara question, I do have a suggestion or two. I use Dior Show, but I also use a few other tricks that I learned from the makeup expert at the NARS counter. Basically, she told me that you need to jack up the black in the upper waterline to make your lashes pop more. So first you use a high-density brush to apply a dark powder to the upper lash line, working it in so that you don’t see any flesh tones between the lashes. Then you use black mascara (I use a Chanel waterproof one) on the upper waterline. It makes your lashes look denser and blacker. Obviously, it won’t help much for length, but it does give the illusion of greater thickness. And I’m sure you’ve already considered applying some falsies for more length, so I won’t go into that! Anyway, hope this helps… Oh — another detail. I complained to her that I struggled with makeup remover and she suggested using extra virgin olive oil both as a makeup remover and to moisturize the face at night. I’ve been using it for the past month or so and have found it to be very gentle (fewer eyelashes falling out when I take off my eye makeup!) and good for the skin, too. Fabulous, Merritt! Congratulations and look forward to seeing what comes next! i love that black and white bag! Oh my Goooood, gorgeous pictures! Love that bag!